Dan Bejar has been releasing music as Destroyer since the '90s, but his career hit a new high with 2011's Kaputt. That stunning album catapulted the Vancouver songwriter (and longtime New Pornographers contributor) to a new level of renown and helped usher in a new indie era in which adult contemporary sax became suddenly ubiquitous. But even though Kaputt's success means that Destroyer's new album, Poison Season, will be greeted with lofty expectations, Bejar is undeterred. "To feel the pressure to change oneself or top oneself with album ten, after having some kind success with album nine, is a ridiculous position," he tells Exclaim! "It makes no sense. Especially when you're in your 40s. I can maybe picture that scenario with a much younger artist, but in my case it seems ludicrous." What's more, he reflects, "I also left a lot of time. A lot of time went by — four-and-a-half years. I think five years is officially an indie rock generation, I would say, culturally. So I'm like half-a-year short of that, so we'll see. It feels like a distant past." Although it has indeed been a long time since Kaputt, Bejar points out that Poison Season doesn't represent too radical a change, since the core band that plays on the two records is mostly the same. The lushly jazzy sound of songs like the "The River," "Archer on the Beach" and "Sun in the Sky" capture the spirit of Destroyer's tours from 2011 and '12; the horn-rich soundscapes recall Kaputt, but with live-off-the-floor sonic immediacy and added cinematic grandeur. Then again, Poison Season is no simple retread. There's a conga-clattering Latin flair to make the full-band jams, and Bejar identifies the song "Forces from Above" as belonging to "the era when the record was maybe supposed to be a disco salsa album." There's also what the vocalist calls an "early '70s English folk rock, or glam rock kind of style," which can be heard in the thundering, sax-screaming single "Dream Lover" and the guitar-driven version of "Times Square" (a song that appears in two very different forms on the album). Perhaps the most notable sonic feature of the wildly diverse Poison Season, however, is the liberal sprinkling of neo-classic strings throughout. This can be heard in the orchestral version of "Times Square, Poison Season" (which is split into two halves that bookend the record), the "Eleanor Rigby"-esque beginning of "Forces from Above," or the aching Old Hollywood pathos of "Bangkok." And then there's the rousing "Hell," which climaxes with a rousing cabaret refrain that Bejar refers to as "over-the-top, Johnny Carson walk-on music." The string arrangements were composed by Stefan Udell and the players were assembled by Jesse Zubot. "For me, it was a totally alien, nerve-wracking experience. The world of charts — that classical world is not something I know, let alone ever attempted to record," Bejar admits. "I also didn't know if it was going to work on not in the end, so there was, for me, a certain amount of tension. Because I thought, if it didn't work out, the record was fucked. Even though I knew that we had these really solid band performances, classically good recordings of the Destroyer band that I was really happy with, there was something about the string arrangements and the idea of them on songs like 'Bangkok' and 'Girl in a Sling' and 'Forces from Above' where they seemed integral for those songs to work." Luckily, they did work. Combined with Bejar's overhauled vocal style — in which the declarative bark of his old work has been replaced by a soft, deep croon — the result is a stunning record on which the 42-year-old veteran sounds as fresh and vital as he ever has. "I had the foresight to make sure that the world was mostly oblivious to my first few records, so I haven't worn them down as much as ten records makes it sound," he observes of his continued success. "But I don't know, I'm kind of a slow learner or late bloomer, so I'm not totally shocked that it's taken me until my 40s to figure out what I'm doing." Poison Season is due out on August 28 through Merge Records. 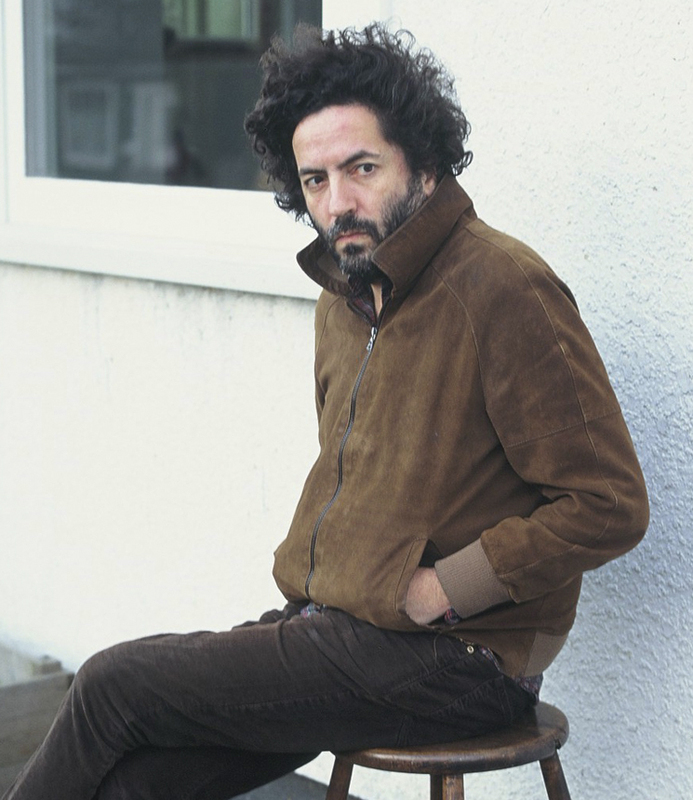 Check out Destroyer's fall tour schedule here, and listen to a couple of cuts from the album below. You can also read Exclaim! 's recent Essential Guide to Destroyer over here.